We provide 1 year free support for all our modules. If there is any bug in our module, we will fix it for free. Note: we don't provide free support in the following situations: 1) if our original module was modified by clients or any other 3rd party. 2) if there is any incompatibility issue with other 3rd party extenisons. We also provide 365 days of free updates for our extensions. You can download the latest versions in your account->download after purchase. Updates include bug fixing, original script optimization, new features, or API updates. Free support/updates is only provided for the same platfrom version branch for which the product was purchased. If you purchased the extension for Magento 1.x, free support/updates was only provided for Magento 1.x. We provide paid services for customization work or fixing incompatibility issue. Our hourly rate is $30. Average quote starts from $50. We provide live demo access. Be free to send us email: yolanda_txw@hotmail.com to request demo access or have any questions. We will give fast response within 24 hours. Our store supports SSL to protect your personal info. Our store supports paypal gateway payment which will take you to paypal official site to accomplish payment during checkout. Your credit card info will not be stored in our store. 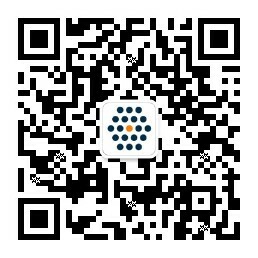 For Chinese users, we also support Alipay and Wechat payment methods to pay us in CNY by scanning QR code using your smart phone. If there is any bug in our module, we will fix it for free. If we can’t fix bug in our module, we will refund 100% payment. If there is incompatibility issue with other modules you installed, we will send you our quote to fix it. Our hourly rate is $30. Average quote starts from $50. If we can’t fix the incompatibility issue, we will refund 100% payment. We don’t accept refund reason like “Module not working as expected.” Please read our module description carefully and check live demo to confirm how our module works before purchase. Don’t hesitate to contact us if you have any questions. We don’t provide free customization or free fix for incompatibility issue with other 3rd party modules. Our module is developed based on standard open source platform. We can’t confirm it can work with all other 3rd party modules. Please take our hourly rate in consideration before purchase. We don’t refund in this case, for we can’t confirm whether our copyright will be abused and whether you will use our module later simply by uninstalling other module. Note: Only accept refunds within 30 days of purchase. Be free to contact us: yolanda_txw@hotmail.com if any questions.